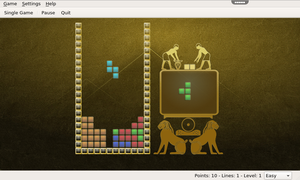 KBlocks is the classic falling blocks game. 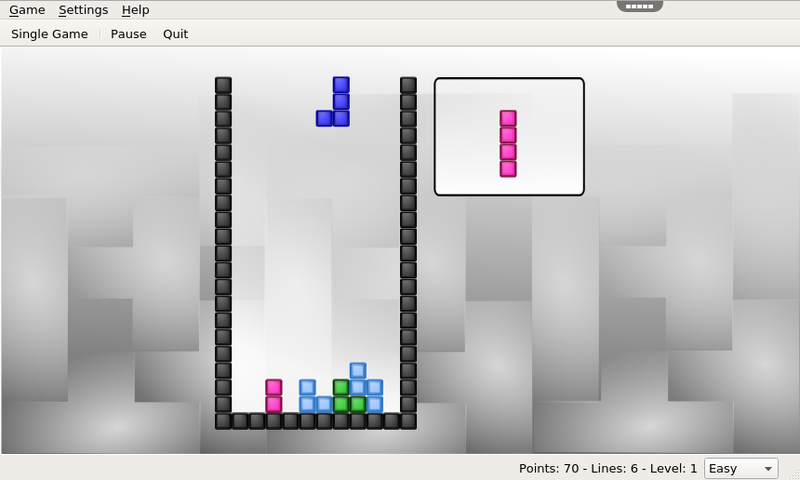 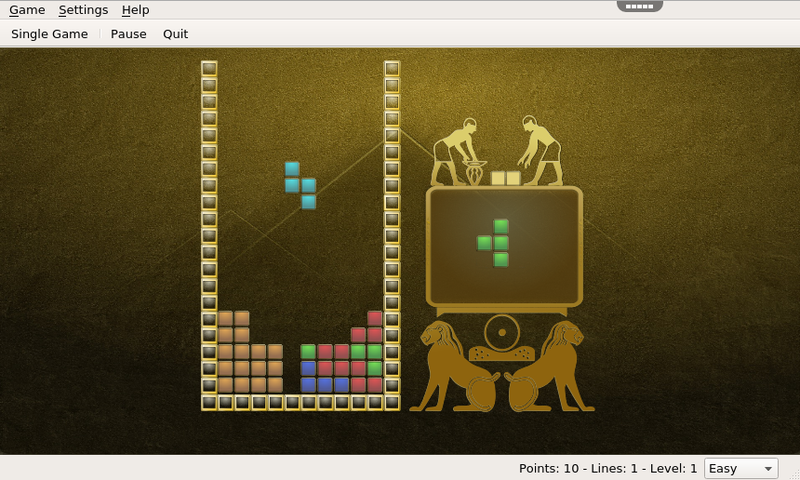 The idea is to stack the falling blocks to create horizontal lines without any gaps. 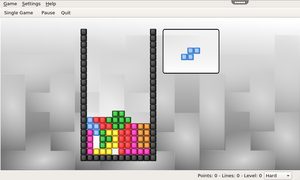 When a line is completed it is removed, and more space is available in the play area. 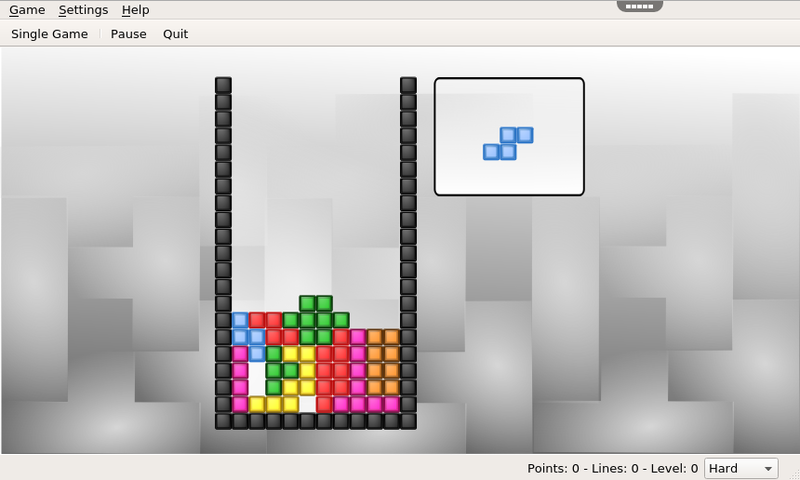 When there is not enough space for blocks to fall, the game is over.